Thus says the back cover, which describes the premise of the story better than I can. 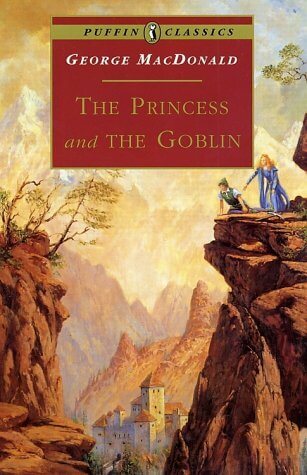 The Princess and the Goblin is a vivid story, illustrating the importance of faith and trust, and the inevitable struggle with unbelief, in a simple fantasy setting. If there is an underlying theme, it’s faith, and it is wonderfully threaded into the story without being a distraction in any way. MacDonald tells a story that resonates deeply with the human desire to trust, and be trusted. The older writing style is quite different from what I normally read, and the narrative style is quite different from what you’ll usually find in new books today, but I found both more charming than distracting (most of the time). I felt they added to the character and experience of the book in a good way. I won’t say that the characters are marvelously detailed, deep, and complex, but I will say that I fell in love with several of them, and hated several others, through the course of the book. I think the simplicity with which they were crafted lends them a special beauty that would be lost had MacDonald tried too hard to describe every detail, or look too closely at them. For such a short book, it did take me awhile to read to the end. It does take a bit of time for the story to really get going, and it can be easy to put back down until then. But, having persisted in finishing the story, I can honestly say it was worth it, and I wholeheartedly recommend it.